I received a fabric swap package from Jen in Tokyo today and it’s eerie how perfect it all is in every aspect. I’ve been brainstorming projects and sketching ideas the past few days and so many of these are just PERFECT for things I have planned. Jen, once again you’ve outdone yourself. You have such a knack for picking out things I’ll love. Thank you so much! 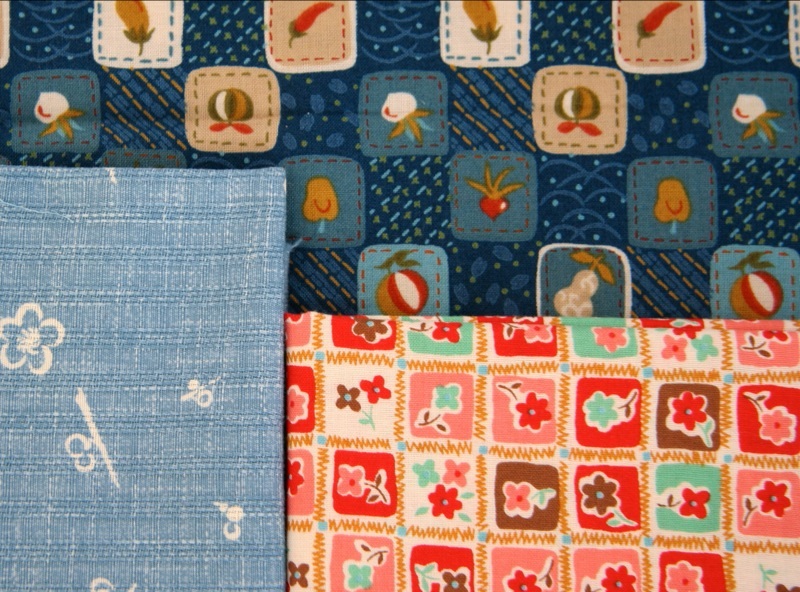 what i wouldn’t give to go fabric shopping in japan! that fabric makes me giddy, it’s so twee! I can’t pick a favorite because it is all so great! I am so jealous! wow! it is all so cute and fun. you are one lucky girl! lucky you. what will you make? such amazing things! I vote you open an import store. If anyone can find out how to get all of that goodness here to share it would be you!! 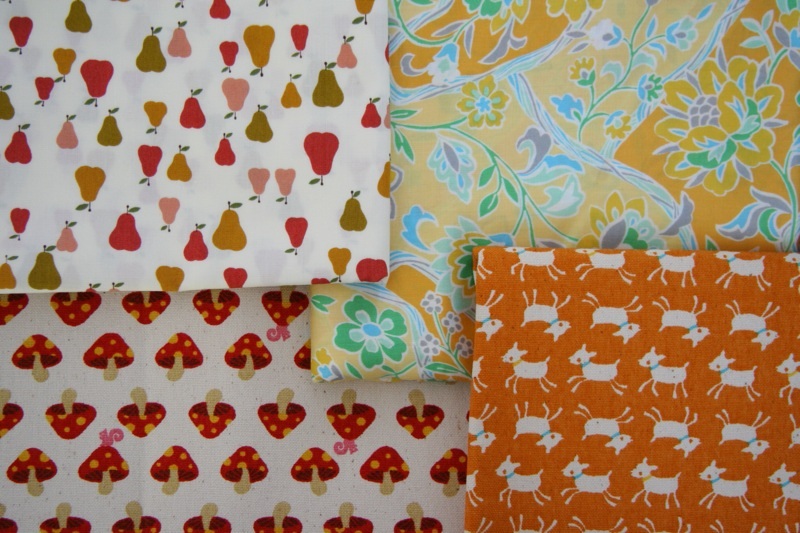 i love the pear fabric…amazing. yes, what will you do with all this? Oooh my a dream parcel. The kitty cat braid! 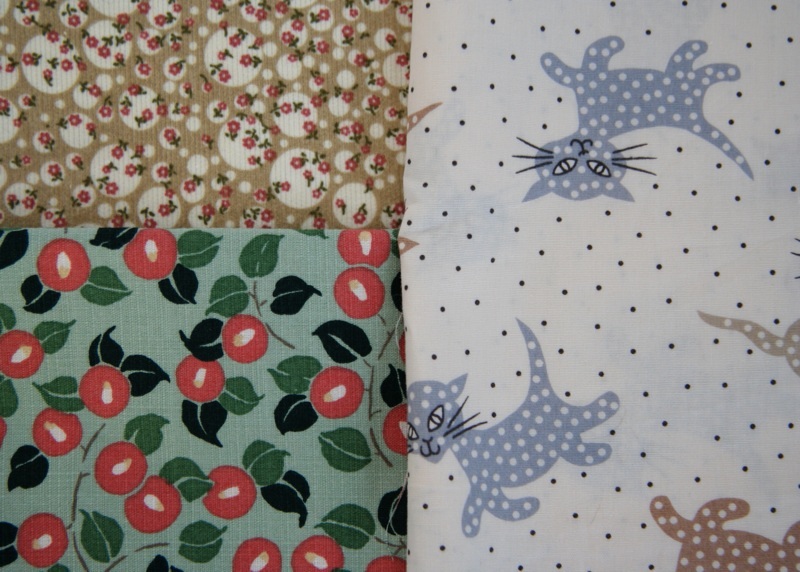 The pear fabric…swoon! The little buttons are so very cute…I’ve never seen anything like them. 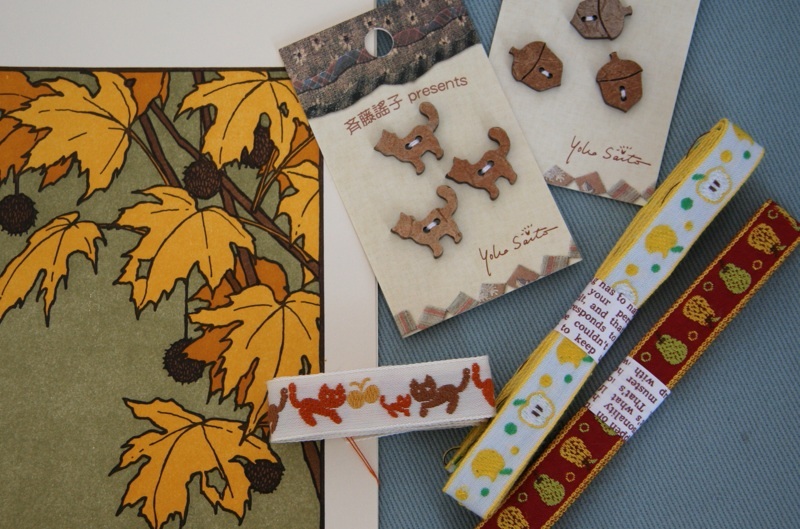 Woodland themes are fun: acorns, mushrooms, owls…good stuff. what a feast for the eyes! Lucky you! 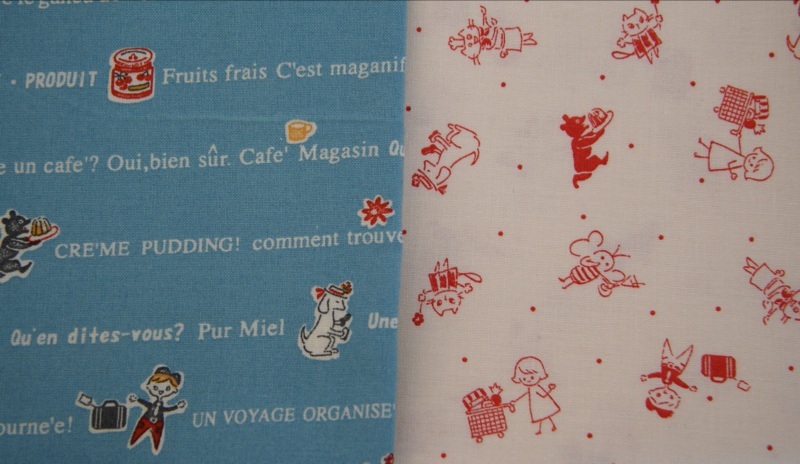 Those japan fabrics are lovely lovely lovely. you are such a lucky girl…those fabrics could not be more fabulous! You are one lucky person – that fabric is amazing! Oh my goodness, I want that pear fabric in the first pic soooooo bad. I am now going to have to haunt fabric sites to try and find some. It is all amazing but the pears are my absolute favorite. goodness! i am going to have to do a shout out for a japanese trader too! The pears. I may lose sleep over the pears. Oh my – I might lose sleep over all of those fabrics! I love the pears and the cats…so cute ! (Groaning) I must get a Japanese connection AT ONCE! oh my goodness. my brain hurts. it is all so cute, but im with stephanie, the pears will make me lose sleep too. cant wait to see what you make!